Oleg Sentsov is a Ukrainian filmmaker. When Crimea was annexed by Russia, he became a prime target to make an example of in order to stifle dissent. He's been tortured and sentenced to 20 years in prison, but Oleg is not backing down. 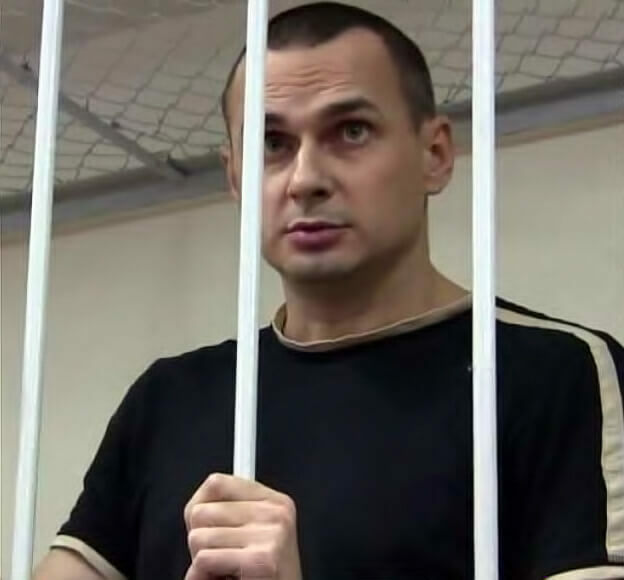 Oleg Sentsov is a Ukrainian filmmaker who put his filmmaking career on hold to work with the protest movement following Russia’s annexation of Crimea. During the 2014 Crimean crisis, he helped deliver food and supplies to Ukrainian servicemen who were blockaded inside their bases by Russian troops, stating publicly that he did not recognize the "Russian Federation military seizure of Crimea." Oleg was arrested on 11 May 2014, convicted and sentenced to 20 years by a Russian court in a trial described by Amnesty International as essentially a "Stalinist-era show trial,” and which the EU “considers the case to be in breach of international law and elementary standards of justice." Picking a well-known filmmaker to make an example out of clearly seems to have been a strategy to stifle dissent. Oleg said he would not accept deals with the investigators, who tortured him and pressed him to confess. He said: “When they put a bag on your head, beat you up a bit, half an hour later you’re ready to go back on all your beliefs, implicate yourself in whatever they ask, implicate others, just to stop them beating you. I don’t know what your beliefs can possibly be worth if you are not ready to suffer or die for them....I am not going to beg for leniency." Join Johnny Depp in working to advocate for Oleg’s freedom. We have to support each other, no matter the distance, no matter the borders. You never know when you'll need the same in return. 100% of the proceeds raised from this campaign will go to The Voice Project to help them as they work for the release of Oleg and the other artist-activists who have been imprisoned around the globe for speaking out. More information on Oleg and the Voice Project's "Imprisoned for Art" campaign is available here. International shipping is available. Additional colors, sizes and styles are available in the drop down menu above.